Absent But Not Forgotten is an ongoing, experimental art project formed in 2010 by west Wales artists, Kathryn Campbell Dodd and Jacob Whittaker. “Our work explores and alludes to ideas of the paranormal, ghost hunting and the propensity to search for supernatural explanations to unexpected and unexplained phenomena. We are also interested in the associations, clichés and influences of TV and films on these issues. 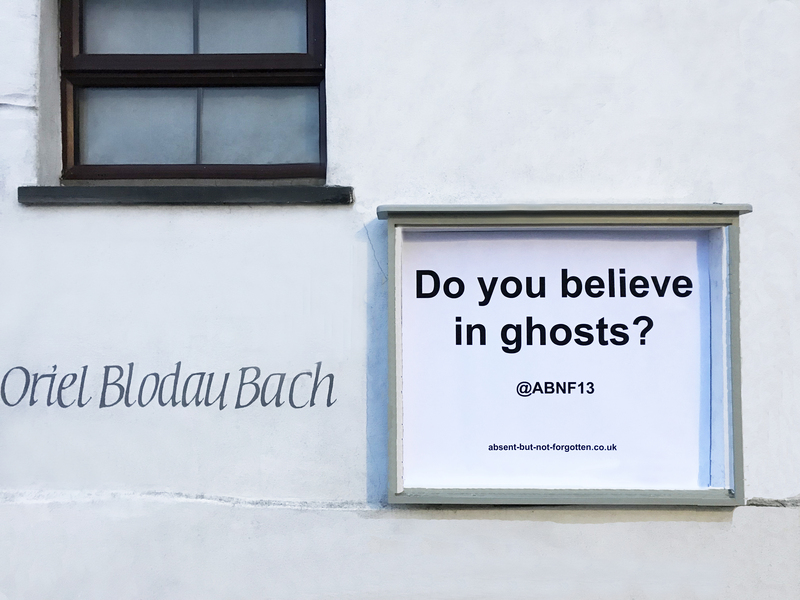 As we head into the Halloween season, this new work for Oriel Blodau Bach proposes a series of seemingly simple questions to viewers to provoke thoughts about concepts of death, the afterlife and the nature of ghosts and our belief (or not) in them.